The protocol as suggested by Dr Simeons originally called for 500 calories intake per day, which is actually a starvation level diet. Yet people thrived on this diet, feel terrific and their skin looks lovely as well. Our hCG diet system is certainly not a starvation diet! 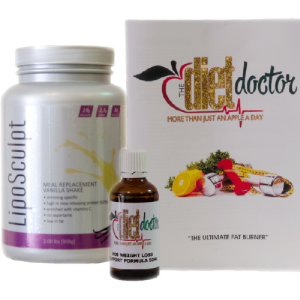 It is a low calorie (800 calories) diet used in conjunction with a daily intake of hCG via injection or oral drops that forces the body to use the reserves of fat it has stored as nutrient. Importantly, no muscle loss occurs with the hCG diet system. In then video below, Victoria tells and shows of of her journey on the HCG diet. She does precise before and after measurements which prove just how much you can lose in 40 days! It is well worth watching and will provide you with the motivation you will need to complete the 30 to 40 days on the course. "Thank you so much..HCG changed my life in ways I can never explain.. It has not just helped me lose the weight.. But also gain confidence in myself..The amount of self control that it has taught me I can not even began to explain.. I never knew that eating healthy and losing weight would be possible for me... And now I know it is.. So thank you so much for always being there to encouraging me and helping me to keep going .. Thank you from the bottom of my heart.. ?" "Hi Helen. Vanessa here 30 days ago I weighed 116kg. I'm now at 104kg. Can't wait for my next order. Thanks a million"
"I am 70 years old and have had a weight problem all my life. I have tried every diet ever conceived. The only way to lose all the weight you need to lose is the HCG way. It is not a wave the magic wand diet. It takes commitment and a passion to achieve your goal weight. I am a lazy dieter because I can't be bothered with recipes. I find what works and stick to it. What worked for me was two proteins per day. One fruit and one vegetable per day. Lots of water, milk free tea and coffee . Eg. Coffee or tea for breakfast. Chicken breast and cucumber for lunch and boiled eggs and an orange for supper. I was never hungry. I did not put myself in a situation where I was tempted to eat anything that was not OK. I turned 70 in July and celebrated with my friends. I only ate 2 boiled eggs while my friends enjoyed all the usual birthday eats. It was worth the effort. Hope everyone will be successful and achieve their goal"
"Started the injections on the 9th of October ,was finally at my breaking point when I decided to give HcG a go ,I made a decision to put my all in to this to sacrifice in order to see results I've stuck to the meal plan 100% and in a month I've had a loss of 14kgs and 53 cms not only can I see the results but I feel AMAZING. Thank you to Alexis Currie and Helen Currie for this AMAZING product you have introduced to me." "I started on 1 January 2017 with the HCG Diet. My mind was correct to start with the diet. I lost 7kg the first week, mostly a lot of water, because I was an unhealthy overweight person of 118kg. Until 24 March, I lost 24kg. Yes some days you feel like you're not going to make it!! But you can. Now my uniform had to be adjusted and my clothes are falling off my body. This is the nicest experience and you get compliments on how good you are looking. My cholesterol was 8 and the doctor had to adjust my tablets to 40mg. From the end of January 2017 my cholesterol has dropped to 2 and I am now off my cholesterol medication. My family and husband role is very important to support me all the way. Until now, middle of April I have lost 27kg and 96.5cm"
"I started with injection on the 14th of May 2017. So I've been on HCG for 14 days effective. From 120 kg to 111kg to date. So very happy I bought the HCG from you I'm so thrilled with the results so far. Glory to God. To have met people like yourself." "Good morning Helen I just want to say a big big thank you for all your help, your service has been phenomenal and I have seen amazing results. I fell pregnant and battled so so much to loose the weight. I had a personal trainer and I just was not loosing anything. The HCG diet has changed my life. I have learnt portion control, hard work, dedication and what good foods to choose over bad foods. The results are in the pictures. Thank you for always being available"